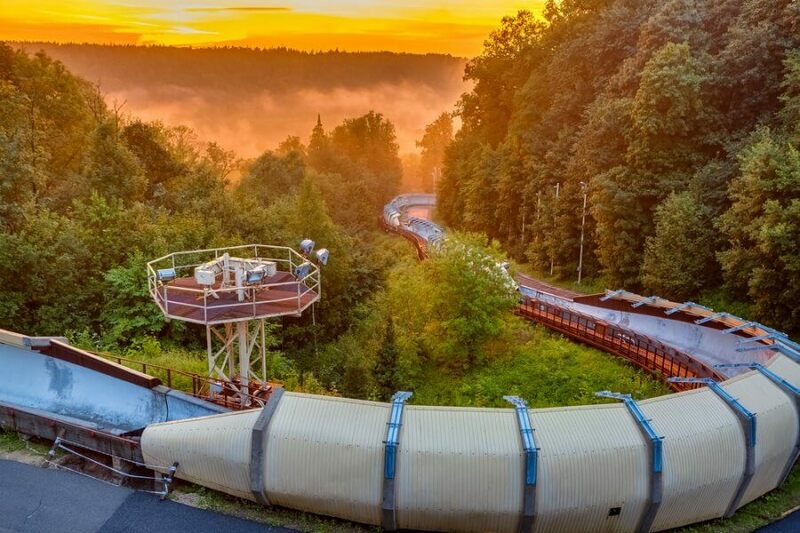 Located in Sigulda, a cozy and picturesque town half hour ride from Riga, this is the only bobsleigh (or sometimes called “Bobsled”) track in Eastern Europe, built in 1986, 1km long, 121m elevation and 17 over-banks giving an impressive maximum speed of 120 km/h. 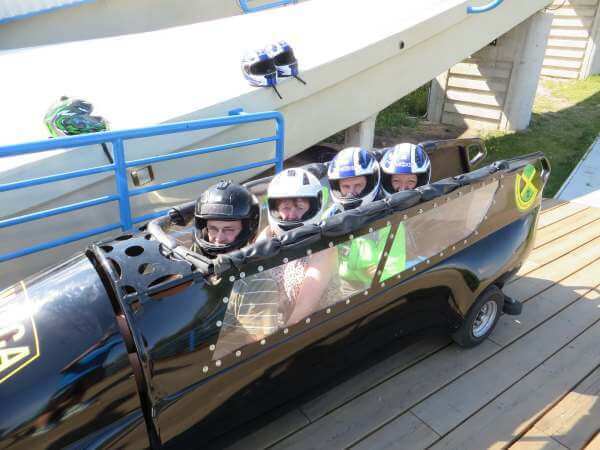 In the summertime, recreational runs are offered using a bobsleigh sled on wheels. 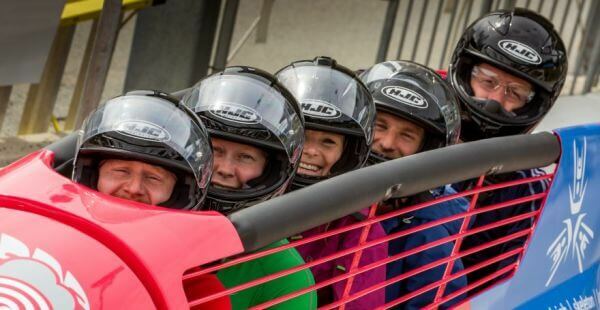 During the run, you can enjoy the speed and feel the adrenaline rising as the sled passes through 13 turns. Really efficient, punctual, and professional. 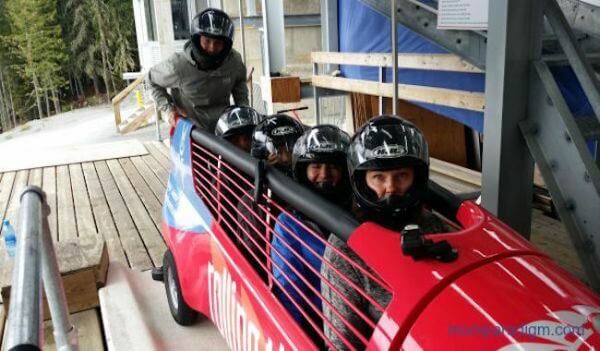 Would definitely recommend to use for the bobsleigh!